Milton Jones began his frame building career at Aussie Cycles where he learnt to hand build bike frames in all sizes for the trade, eventually developing the skill to measure individuals for their light weight racing frames. He moved to Flying Arrow Cycles (prop. Bill Kell) in Subiaco and became a member of the Subiaco Cycle Club (eventually Floreat Park Cycling Club), where his first success came when he was selected for the State Team, 15 mile, Junior (1948) Cycling Championship. In 1956 he opened his first Bike Shop - Super Sports Cycles, at 21 Angove Street, North Perth, still manufacturing standard bike frames for the trade and special light weight racing frames as required. The popularity of the motor car was slowing the bike trade down, so when an opportunity came to join R Moore & Sons, Short Street, East Perth, to recondition engines he made the move. 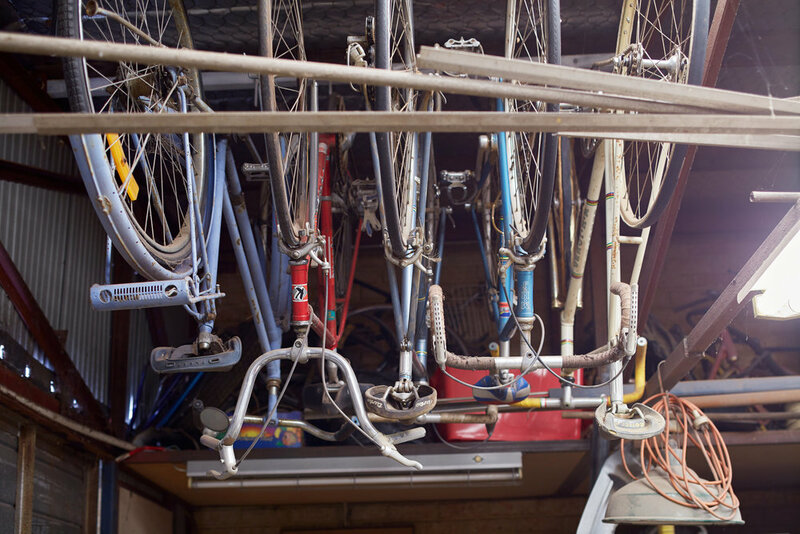 The shed at his Willagee home became the next manufacturing site for many styles of bike frames. From road and track racers to specials for children at Rocky Bay Village, MosmanPark. A Special 753 license from Reynolds Tubing of England, to weld their double-butted tubing, was a noted achievement. During this time he used M H JONES, MHJ and CAPO a s trade names on his frames. His riders' enjoyed many successes, competing in the World Masters, Australia wide, and locally, both on the track and on the road, one in particular was Rodney Evans for a 24 hour track record. Apart from setting Rod up on his frame, Milton massaged his legs before, during and after the event. In 1994 Rod set many new track records and broke Sir Hubert Opperman's 50 year old Australian and World distance (24 hrs) record at the Midland velodrome. Milton was a founding member of the WAHCC. He passed away unexpectedly in 2013. 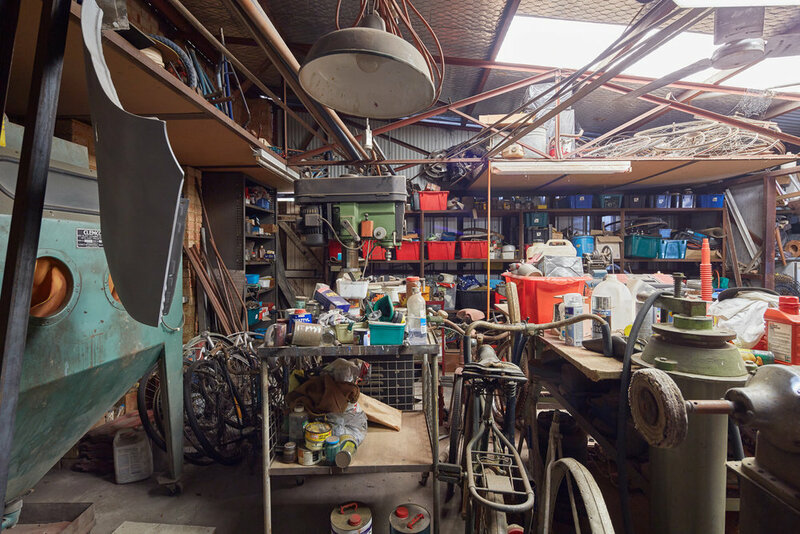 His workshop (photos at right) is pretty much as he left it.